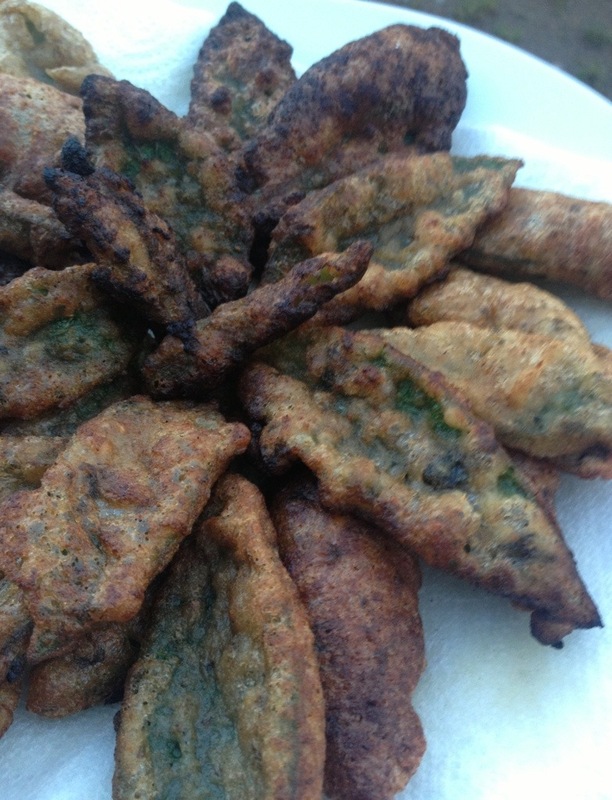 Comfrey leaf fritters are delicious when cooked properly. I particularly like the sweet version as it especially suits the soft nature of comfrey. The secret is to have a really light, crispy tempura batter on the outside with the softness of the comfrey on the inside. There are two ways to do make comfrey leaf fritters depending whether you are going to serve them as a starter or as a dessert.The method is the same but there is one ingredient change, the type of fizzy liquid that you use. For sweet: you can use lemonade or ginger beer. First thing is to chill all your ingredients. The best batter is made when everything is cold. 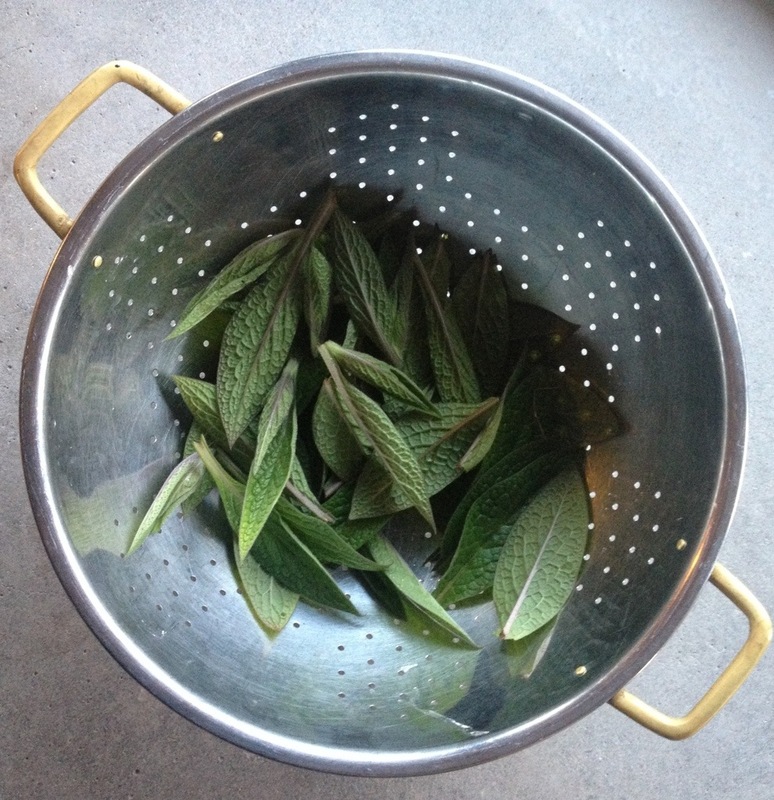 While they are chilling, rinse your comfrey leaves and buds in a colander. Then add your oil to a saucepan in the ratio of 9 parts of sunflower oil to one part of sesame oil. This gives a lovely light oil which cooks at higher temperatures and helps to avoid the fritters from being at all greasy. Heat the oil to 180˚C (356˚F). Low temperatures will result in greasier stodgy fritters. Line a shallow flan dish or plate with some paper kitchen towel, and put it on a flat surface near to the stove and have a pair of cooking tongs or a slotted spoon to hand. 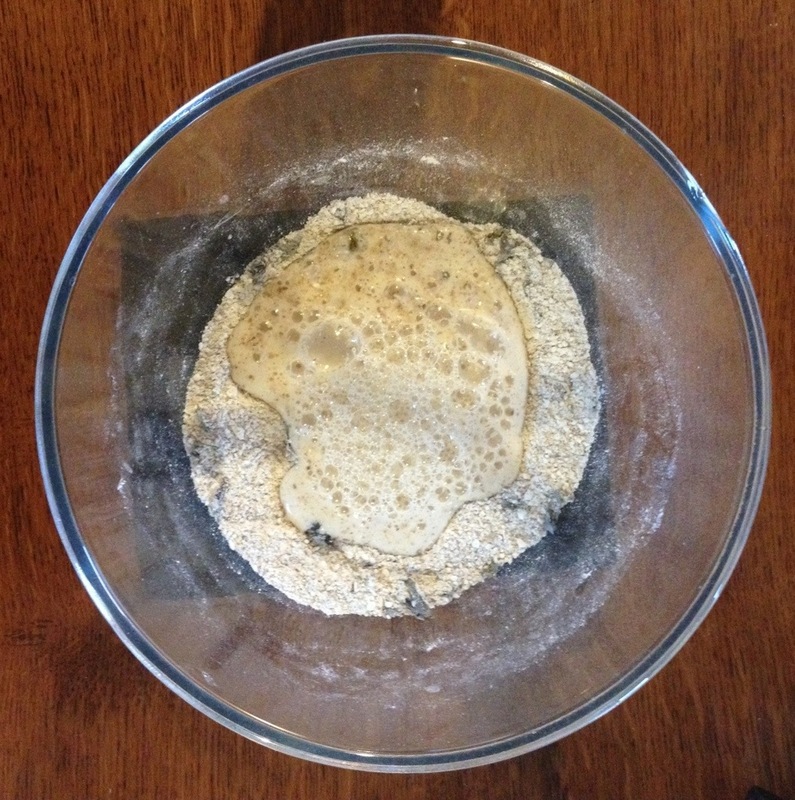 Remove the chilled flour and cornflour from the fridge and put into a mixing bowl. Add the chilled fizzy liquid. 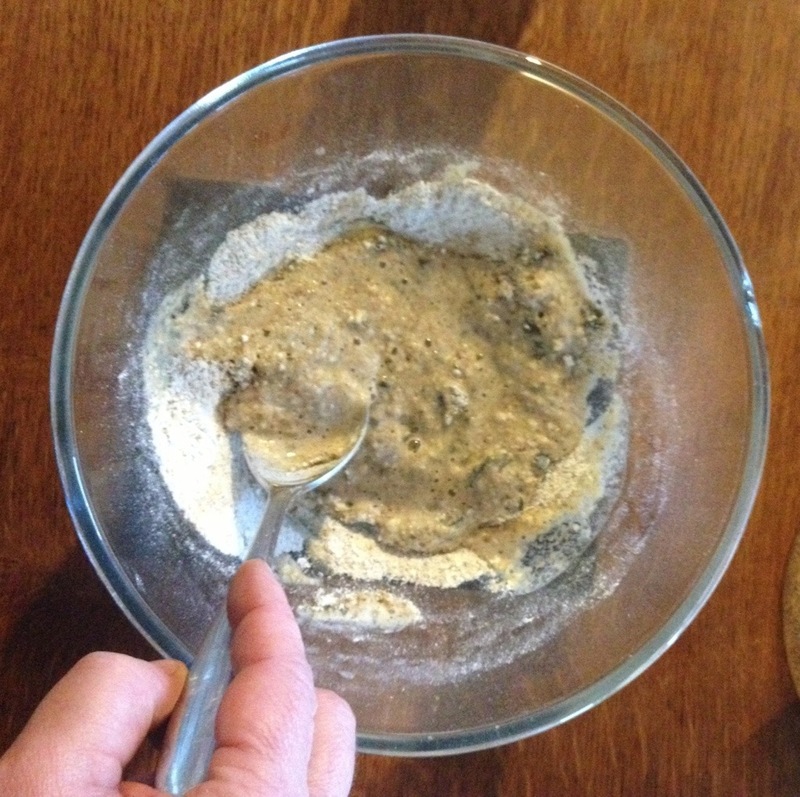 Stir the mix together really quickly in one minute using either a spoon or, traditionally, chopsticks! Do not worry about leaving any lumps. 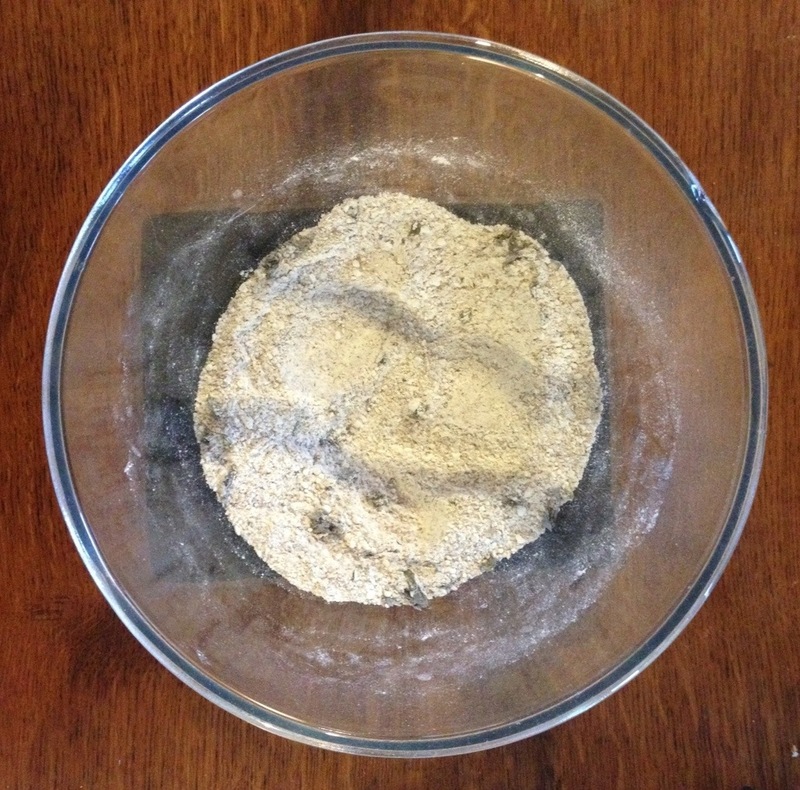 It’s more important not to over stir or the mix will become glutenous and lose it’s light crisp texture. Get your comfrey leaves near at hand. 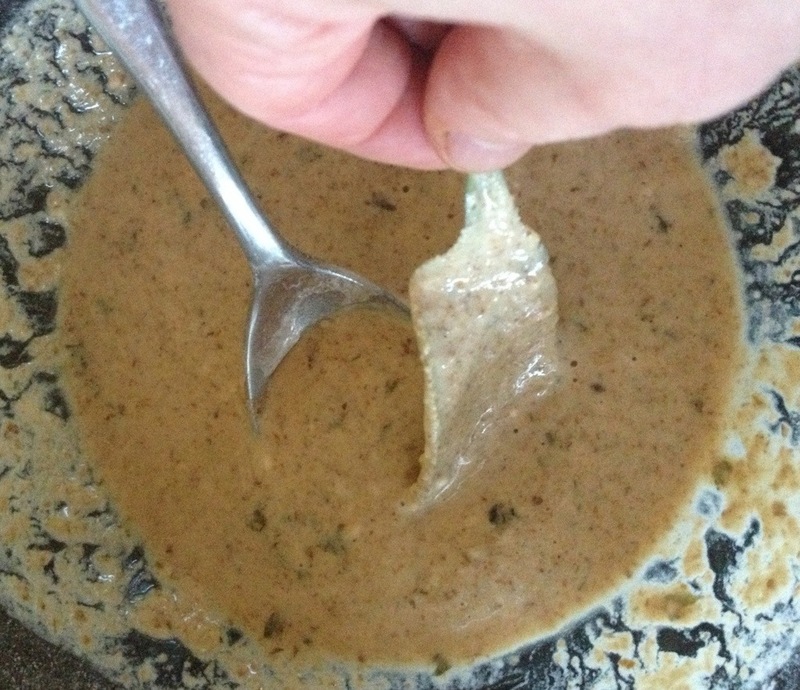 A leaf at a time, dip the leaves in the batter and fry quickly for literally a minute each side. 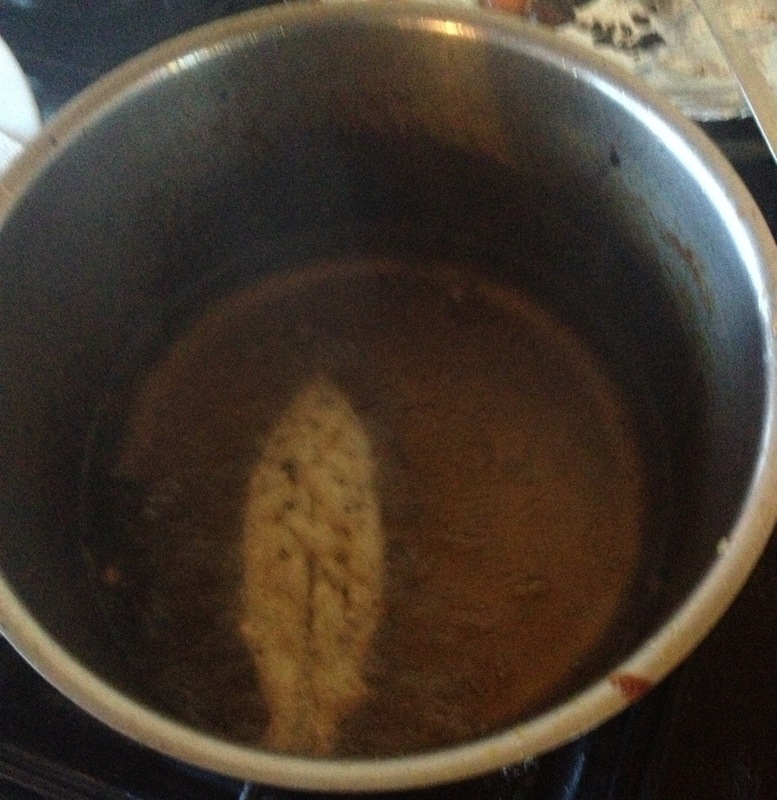 Remove from the oil as soon as they start to slightly brown. These were a little overdone. If you’ve heard lots of scare stories about comfrey and its PA content, please read this article.